With Black Friday, Cyber Monday and Holiday Shopping in full swing, now is a great time to start thinking about travel must-haves for yourself and travel gifts for others. Below are all items I own and use while traveling and can personally recommend. As I continue to travel, I'll be adding to this list as well as my own wish-list so please share your favorites with me too! I love a good travel bag and have been through quite a few to find my favorites! 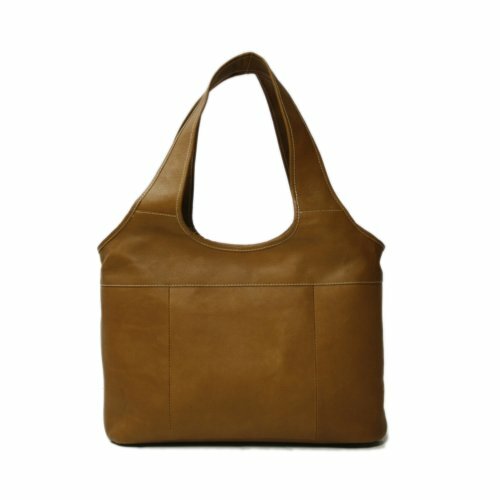 I also put function over fashion and tend to like bags with easy-to-use compartments and organization. The first up is my trusty backpack that I take everywhere. I purchased this bag almost a year ago to date based on the suggestion of two of my friends who both use this bag to travel with regularly. The boys travel with the dark blue and dark red colors, so I opted for my favorite teal. This bag has been amazing! From Thailand, Vietnam, Cambodia, Mexico and all over the US where I ONLY packed in this bag (sometimes using packing cubes) to Portugal, Spain, and Morocco where I use this bag + it's larger cousin as I am staying in each city for a month at a time. This bag has been in airports, ferries, buses trains, tuk-tuks, and even on camel-back and is still going strong! I've stuffed this thing to the max and the zippers are strong and the shoulder straps secure. I use it most often as a carry-on (always fits!) but also like that I can zipper the straps inside and check it when I have free bags on international travel. 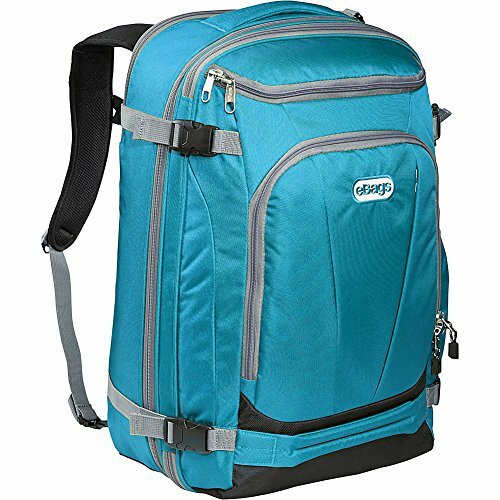 I highly recommend this bag! Also an eBags bag, the crossbody I wear when traveling is a bit bigger than the one I wear back in the states. However, I like to be prepared! This bag has so many different compartments that it's easy to keep things organized and find what you need when you need it. I can easily leave in the morning with this bag and know I'll have whatever I need on me for the day and even transition into night. I usually carry a scarf or light sweater in the bottom and have everything else in its own pocket and space for easy access. Knowing I was going to be living a few months in Europe and working at the same time, I wanted a bag that I could carry my computer in as well as my camera, wallet, things for the day, etc. and not look quite so much like a tourist or college student. This bag certainly does the trick! My favorite feature is that it has two separate compartments which make it super easy to separate my tech gadgets from my personal items. I keep my computer, iPad and sometimes camera in one section and the other my passport, wallet, pens, notebook, tissues, chapstick, etc. 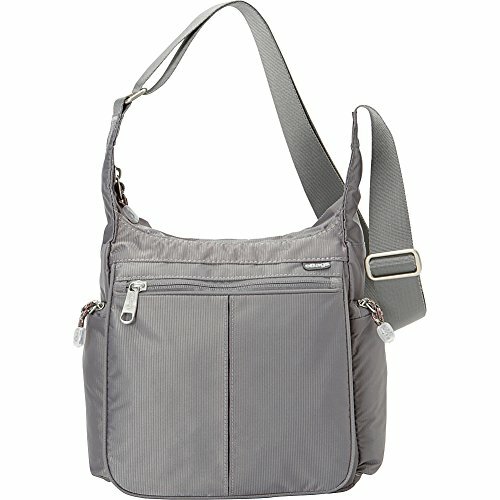 I ordered this bag right before leaving after seeing a friend with it and thinking it would be a good bag to go out with at night, smaller than the eBags cross-body, but still have separate compartments. Just like the Hobo, the two sections allow me to put my external battery charger and camera on one side and use the other for my wallet, lipstick, etc. I don't use it as often as the eBag crossbody but enjoy having it when dressing up a little at night! 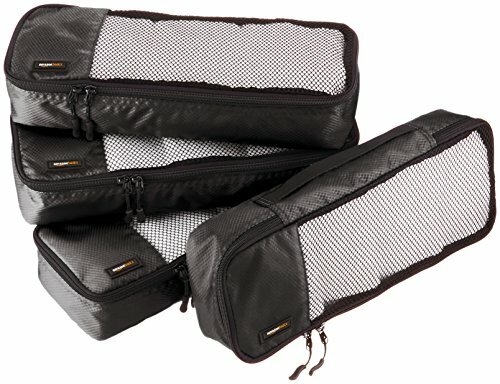 Packing Cubes have helped me organize and fit more into my backpack and other bags. It's a great way to separate types of clothing so that you can just pull out one cube at a time and not unpack your whole bag! 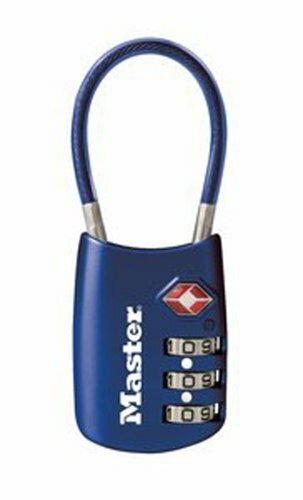 These little luggage locks are always with me - they are so handy for locking compartments of my backpack or other bags while traveling. TSA approved and cheap = win! I also travel with a lightweight, foldable backpack that I carry with me to the market or on day trips. The one below is the 33l but I believe I have the 20l and it's just perfect! External Battery Charger or what we lovingly refer to as "Big Bertha" on this trip! Big Bertha has been a lifesaver. I can charge her up once and take her with us to charge our phones multiple times over. We often pass her around to give juice to whoever is running low. 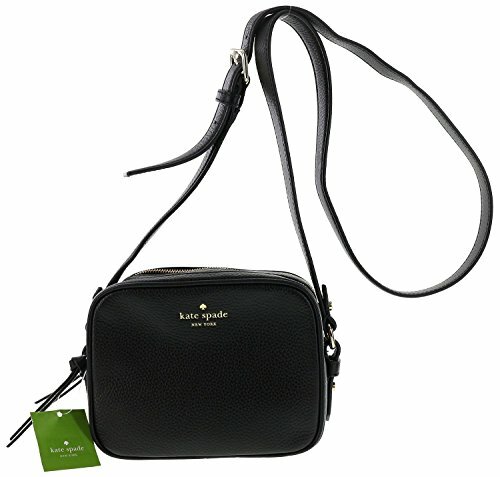 I often have her in my cross-body bag and love the fact that I can get so many charges out of her. In Barcelona, we passed her around and probably got 8-10 full phone charges and in the Sahara the same, everyone was able to keep their phones on if needed and it's still charged enough for this week. Phone Case - this one was tricky for me to prep for the trip, I knew I wanted my phone protected, but I also didn't want a bulky phone case. 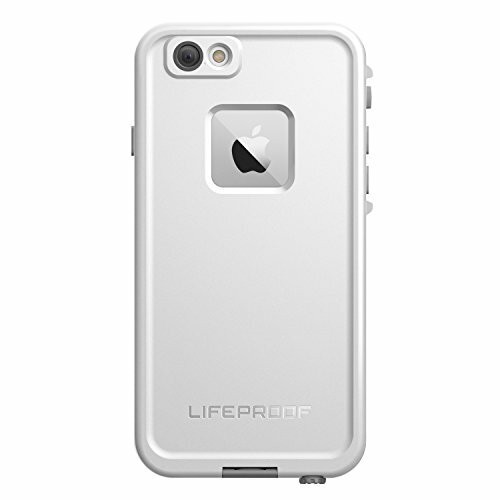 The LifeProof case has worked perfectly for traveling and not having to worry about throwing my phone into my bag or dropping it in the middle of the Sahara. The GeekPro is a bit large to put in a bag, but well worth it if you're going to need to power up on the road. This allows me to charge ALL of my devices, without converters, using one international outlet (usually I put it it near my bed). 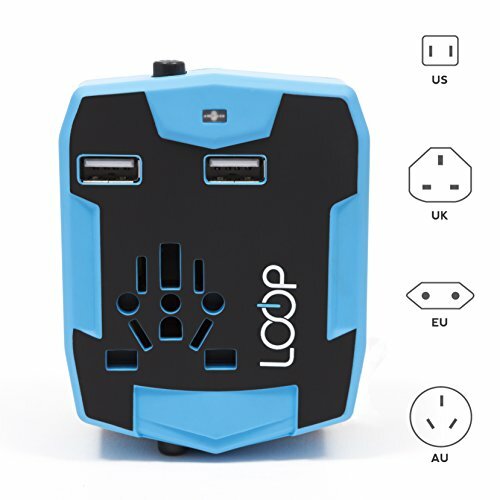 There's no guarantee there's going to be multiple outlets where you are staying, and if its important to always have a charged computer, camera, extra camera battery and phone, this is well worth carrying around! I also purchased the case. 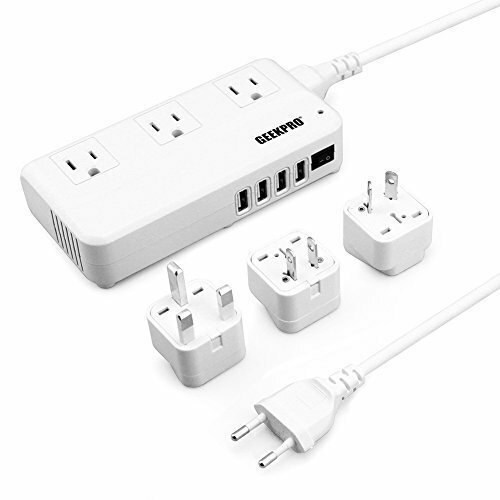 Adapters are always great to have and this one has come in handy for quick one or two-night stays where I don't need the GeePro with me, but still want to be able to charge multiple items from one outlet. The two UBS's are also great when traveling with a friend, you can both charge phones + charge something else like a camera. 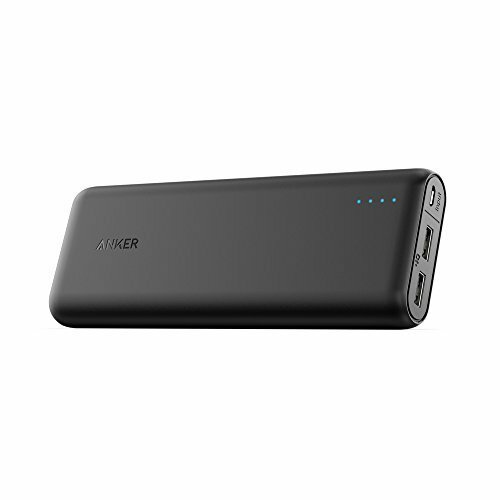 Another great feature is that it holds a charge so when in need, if you have this in your bag you can charge on the go! 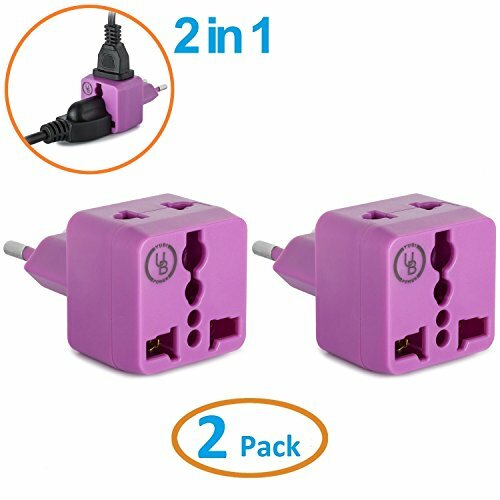 I also have these little adaptors floating around my bag for simple use in a cafe or co-work space. I love the color because I can remember them and if I ever leave them somewhere it's easy to describe and know they are mine. Extra long cables - this one is simple and often gets overlooked, but I LOVE having the long charging cables. You never know how many outlets, or where those outlets will be when you're traveling, and it's nice to be able to have your phone close by for an alarm. 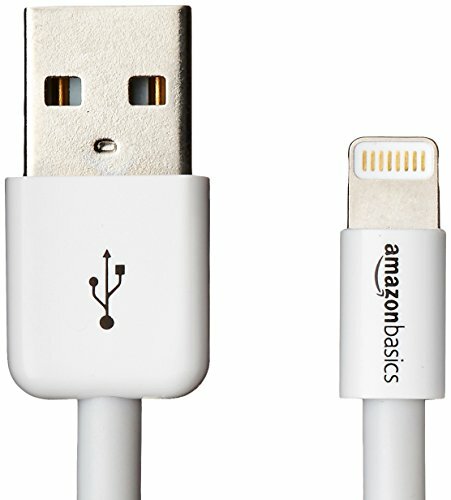 I've been using the Amazon Basics cords to charge my phone from the GeekPro most nights and it's been great! For this past trip, I decided to invest in a good, slightly expensive camera and I'm so glad I did! I love taking pictures, and the camera has captured some of my favorite moments! It's especially great for nighttime and low-light scenes where the iPhone has a bit of trouble as this camera can capture the images or movie without the flash. 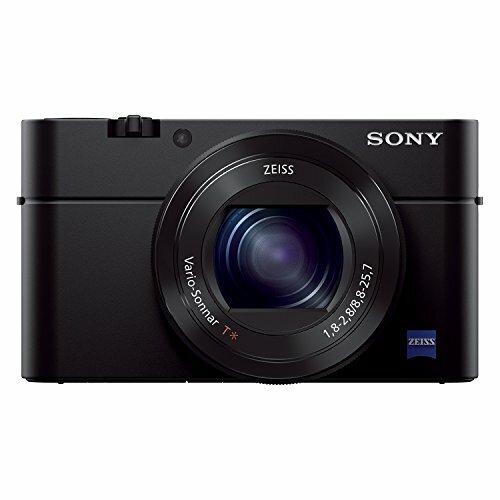 A friend who is a professional photographer recommended the Sony RX to me as I was telling her I was thinking of getting a big camera like hers. She suggested I think about how heavy the big ones are and if I'd actually carry it around with me often enough to invest - she was right. This camera is the perfect size as it fits in all of my bags above (including the eBags cross-body and the Kate Spade) so I always have it with me. I love the images it takes! Others on my trip have a few different styles that I also like, but for me, the size and quality of the Sony RX are just perfect. I also purchased the extra batteries, charger, and Memory Card, but am still searching for a good case. I've been getting by with using the case from "Big Bertha" to throw it into my bag. 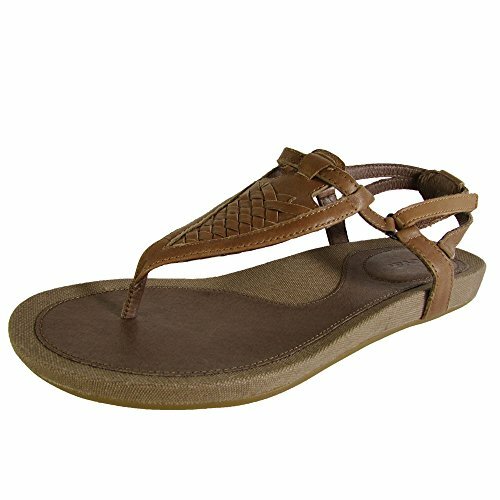 I'll be writing another post regarding travel clothes and shoes that I've found to be staples, including these Teva's which are my favorite! Happy Shopping and even more important...Happy TRAVELING!